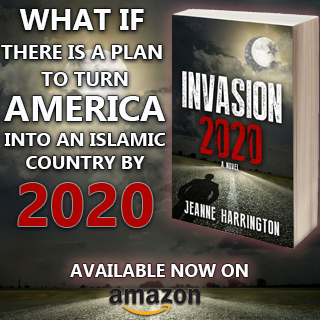 There’s no question that murderous Muslims are on the march from Africa to the Middle East, and are pumped to wage jihad beyond dar al-Islam, particularly to the United States. VDare (h/t Cynthia B) Reporter Dale Hurd noted in ISIS a ‘Clear and Present Danger’ to US Homeland that the aggregation of jihadist groups was a national security threat: One new danger mentioned was a non-metallic bomb being developed that could be smuggled onto commercial aircraft without detection. But why would jihadists need to build fancy airplane bombs when they can easily transport serious WMDs across America’s wide-open southern border? The cartels run the place now, while the US Border Patrol is busy providing daycare for illegal alien kiddies from Central America. 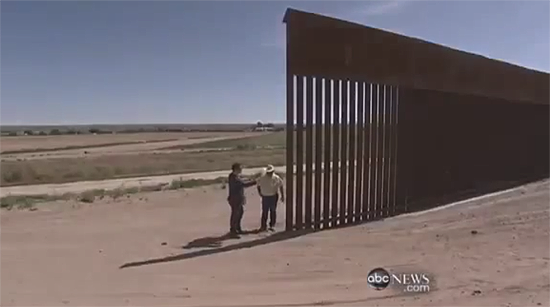 Below, an incomplete border fence in Hudspeth County Texas. Iraqi Extremists Promising Attack Could Slip Through Mexican Border There are concerns that the Islamic State of Iraq and Syria — an extremist group that has already captured several large cities in Iraq and is bearing down on Baghdad — could be responsible for the next 9/11 style terror plot on U.S. soil. Sen. Lindsey Graham, (R- South Carolina) echoed Poe’s remark, saying on CBS’ “Face the Nation” Sunday that U.S. officials have warned the next major attack on U.S. soil could emanate from the region. And Poe thinks the likely way ISIS will get into the U.S. to commit a terror attack will be through the Texas-Mexico border. In Texas, plans have already been laid out to decrease the surge of illegal immigrants and try to secure the border by deploying the DPS, but Governor Rick Perry’s office says there are still not enough resources. This is a repetition of the 1990s when a Muslim Brotherhood loving Clinton and Albright failed to secure Osama in Africa when he was captured and offered to the US as an accomplice in the two bombings of the world trade center. I would avoid cities like the plague because the attack will be coming in the next few years, just about the time that a new president (Hopefully not Hillary) will be taking office. 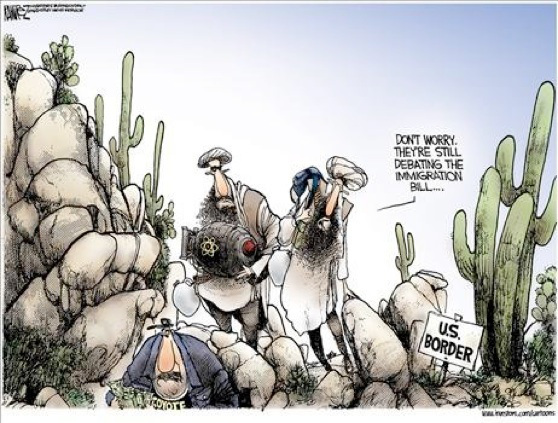 The 12,000 Al Qaeda positioned below the American/Mexican border are waiting for the proper time to flood across and attack/blend into society through the USA. These are also armed with weapons from Fast and Furious [The Holder Cover Up.] The Cartoon above is exactly right on. A suitcase nuke will come across the border and be placed in New York City. Prophecy has it that the FBI or any one else will not be able to stop it. This is what happens when you turn your back on GOD. Abortions are rampid in NYC proper and no one cares that HIS Seers, Prophets, and Healers are being killed in the womb. HE does. The fastest way to end this invasion into the USA is to end “NAFTA”. [Bill Clinton enacted this farce.] We have lost billions in trade deficit, on top of all the illegals entering the USA. Close the border, put troops on it and end the BS about the poor of the world. Tell Mexico they can’t sell “NAFTA” in the USA anymore. We have to be realistic in our outlook. We can do just so much, the rest of the world must also teach the poor how to work properly. A handout is only good for a moment, then it begins to rot the soul. How many liberals want to rot the souls of these poor people of the world? If you think welfare is the answer [no matter what you call it, food stamps, child refunds, single parent, etc.] you are dead wrong, the souls will rot and you will be held responsible. When a man is not allowed to work and toil for his family, they descend into a state of manic depression. So the Liberals say, OH poor dear, let me help you even more. I feel so good when I go home to my upscale home, and you live in squalor. The differences make me happy that I am not you. 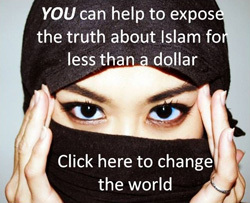 The way to stop Islam in America is to Ban Islam now, Shut down Mosque, vett Islamist in Government Agencies, remake all policies to include islam, jihad, terrorist, caliphate, as to direct all agencies to follow new rules that call for immediate action and infiltration of individuals or groups on American soil organized or organizing for terrorist activities, in other words Federal, State and Local Officials receive indoctrination from former Counter Terrorist Experts like Robert Spencer, Dave Gaubautz, Ret General Boynton, Frank Gaffney, Calre Lopez. Well, lets hope that if and when they actually attack America, they confine it to the WH when Hussein, his family and all his MB members of congress are in residence. they’re probably drooling in anticiption of the virgin terrorty to wage jihad on. Too late. It has already been PROVEN from many items left on the ground that many muslim terrorists (and weapons of mass destruction?) have entered America via the U.S. border that has been DELIBERATELY left unguarded. 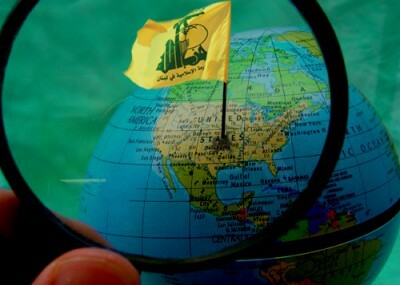 Hezbollah known as the A team of terrorists are throughout Latin America. 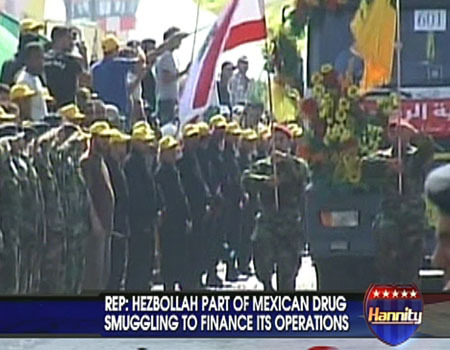 Hezbollah set up operations close to the U.S. border. 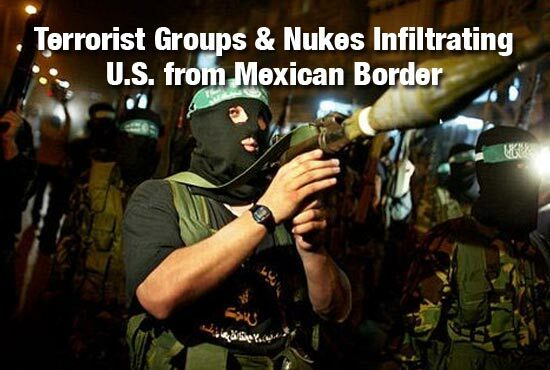 The terrorists work very closely with the Mexican drug cartel. The Mexican drug cartel was provided with a large number of weapons by the ruthless Obama regime. The weapons were used to murder a huge number of innocents. Their blood cries out! Open borders is an act of suicide for any nation. Every nation has a moral responsibility to their own people to guard their borders. Only nations whose leaders hate their own people leave their borders unguarded. In the past, cities built high walls around their cities to keep out potential enemies. Thanks to U.S. anti-American leaders, the muslim terrorists that easily crossed the U.S. border will have set up terrorist cells all over America waiting for the signal to attack. Muslim terrorist training camps are ALLOWED in America. There are many. No. No surprise. Just a turning point. We are at war and everyone should know this.